This capped sleeved frock is an unexpected twist on classic. 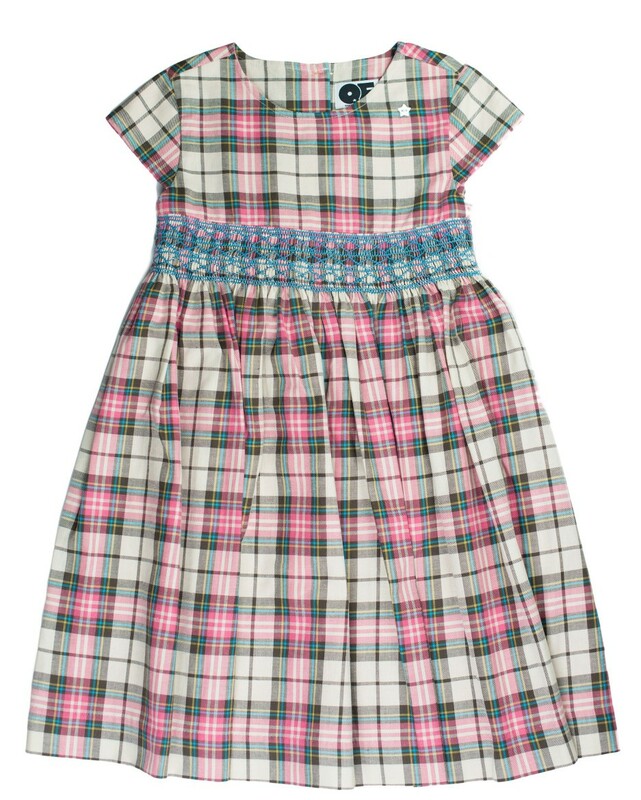 The pink cotton tartan contrasts beautifully with the sky blue hand smoking. 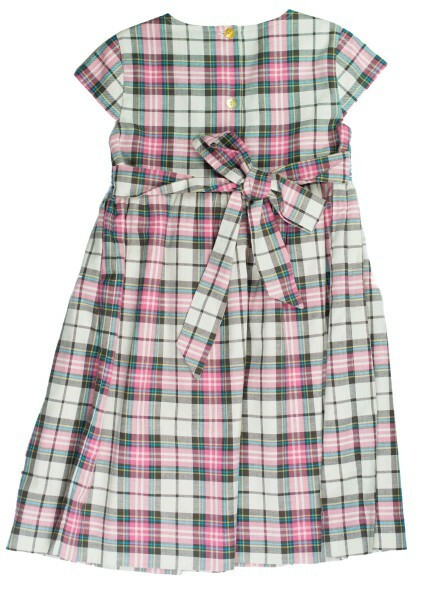 It’s a perfect for Sunday Lunch or a special visit and looks great with tights and a pair of mary-janes or ankle boots.